From aspen furniture to western furniture, we give you wood choices galore! Dark and Light wood furniture, distressed wood and more – at Woodland Creek the choice is yours. Shop by wood type or explore our full range of options in home, lodge and cabin décor. For a lighter look, consider our cedar furniture and pine furniture lines. Looking to outfit your favorite hunter’s mountain hideaway? You’ll love the rich, dark tones found in our teak furniture, rustic barnwood and hickory furniture lines. Get quality reclaimed wood furniture & rustic country décor at Log Furniture Place! 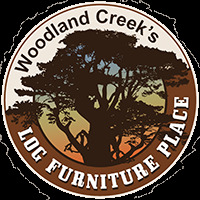 Whether you like a gnarly, hand-peeled finish or a clean, contemporary look you’ll always find a wood style to suit your design taste at Woodland Creek’s Log Furniture Place. From delicate aspen to burly barnwood furniture we offer the highest quality rustic decorating goods at the lowest possible prices – and that’s a promise! 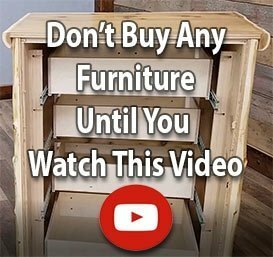 If you’re looking for the best in rustic furniture and rustic décor, you’ve found it.